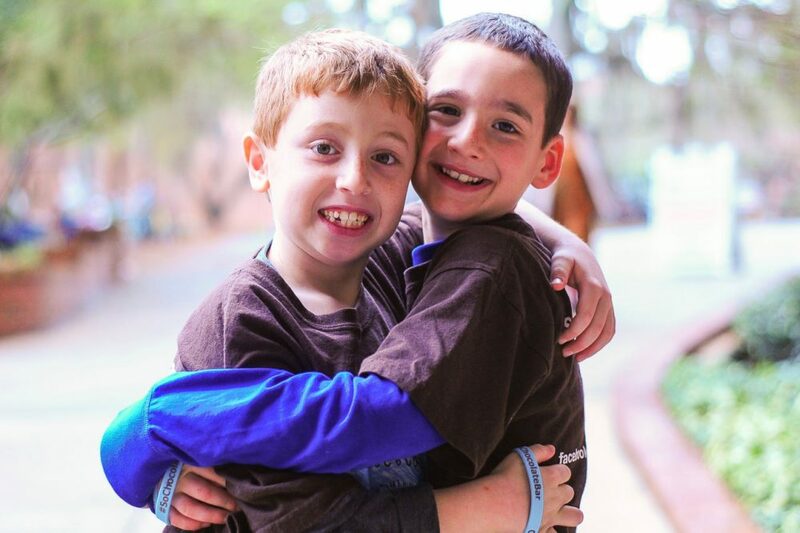 Dylan Siegel was in first grade when he learned that his best friend, Jonah Pournazarian, suffers from an uncommon type of glycogen storage disease or GSD. Jonah’s disease affects him in multiple ways: he has to drink corn starch ever few hours to keep his blood sugar up, test his blood sugar throughout the day, and if he misses a feeding, he could have seizures or go into a coma. Jonah also has a low white blood cell count and cannot fight infections. The two Los Angeles boys are ten now and an extraordinary act of their friendship has the potential to help other children with GSD. When Dylan found that Jonah’s rare and potentially fatal disease did not yet have a cure, he wanted to help. Dylan and his mother, Debra, brainstormed ideas to raise money towards efforts to find a cure for GSD. “And I said, do you want to do a bake sale? Do you want to do a lemonade stand? He’s like, no. He looked at me like I was insane,” she said. “And I’m like, how about I write a book?” Dylan said. The next day, Dylan created a picture book he dedicated to Jonah. Dylan went into his mother’s office and asked her to make copies; he wanted to sell his book to raise money for research. “I even thought I was a little crazy. But then I’m like, wait, I could do anything I want. I could cure this disease,” Dylan said. Jonah’s type of GSD is one in a million type of disease and Dr. David Weinstein of the University of Florida is one of a handful of doctors who treats it. “There’s no funding. Honestly, I’ve come close to giving up numerous times,” Dr. Weinstein said. Over the years, Jonah’s struggles with his disease has motivated Dylan even more. Dylan approached multiple people with his book, one of whom worked in the news media. Word spread and more money became available to fund Dr. Weinstein’s research. “Twenty-five thousand, I thought that was incredible. And then it went to 100,000,” Dr. Weinstein said. While fundraising, Dylan and his family visited a boy who was hospitalized with the same disease as Jonah. They then devoted themselves to reaching Dylan’s million-dollar goal. And they did. “Now we have, like, over a million dollars,” said Jonah. While the two boys are looking forward to helping kids with GSD, they are anticipating something else as well.